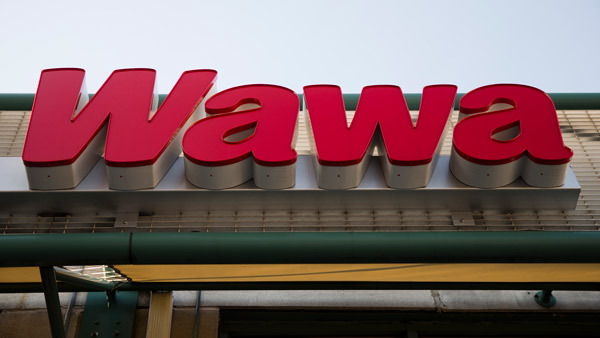 CHESTER HEIGHTS, Pa. (WPVI) -- The Pennsylvania State Police have taken a man into custody who they say robbed a Wawa in Chester Heights, Delaware County twice over the weekend. The first robbery happened just before 10 p.m. Saturday at the Stoneybank Wawa, located at 36 Baltimore Pike. According to police, the suspect entered the Wawa and made a purchase at the register. He then displayed a handgun and demanded money from the register. He did not obtain money and then fled on foot empty-handed. Then shortly before 6:30 p.m. Sunday police believe the same man entered the Wawa and made a purchase at the register. He again displayed a handgun and demanded money from the register. This time the suspect fled the scene on foot with an undisclosed amount of money. Police say it appeared the suspect was wearing the same clothing during both incidents. On Monday afternoon, the Pennsylvania State Police announced a juvenile male has been taken into custody at the Media station.